Please find below a list of the current courses and lessons I offer. For more information on special offers please contact me on 07477 591410. I currently provide driving lessons in the following postcode areas: PO18, PO19, PO21, PO22, BN16 and BN17. 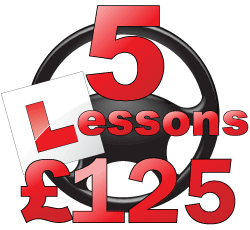 For a limited period only I am able to offer the first 5 hours of driving lessons for only £125 plus a free LD System Driving Skills workbook worth £14.95. Please also note terms and conditions below. This course includes: 15 hours of in car tuition at £28.00 per hour, the driving test fee and the LD System DVD and workbook. I usually book your driving test to tie in with the last hour of the course (provided you have passed your theory test). This course includes: 20 hours of in car tuition at £28.00 per hour, the driving test fee and the LD System DVD and workbook. I will usually book your driving test to tie in with the last hour of the course (provided you have passed your theory test). This course includes: 30 hours of in car tuition at £28.00 per hour, the driving test fee and the LD System DVD and workbook. I will usually book your driving test to tie in with the last hour of the course (provided you have passed your theory test). This course includes: 30 hours of in car tuition at £29.00 per hour, the driving test fee and the LD System DVD and workbook. 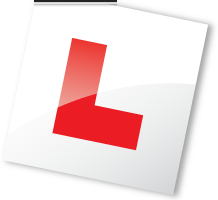 Your local LDC instructor will usually book your driving test to tie in with the last hour of the course (provided you have passed your theory test).